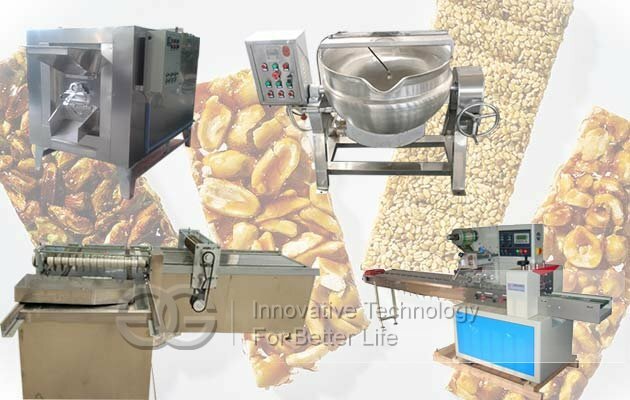 Croquant Bar Production Line is consisted of a set of machines: Nuts roasting machine, sugar cooking pot, Temperature Control Mixer, automatic forming and cutting machine, automatic packaging machine. 1. 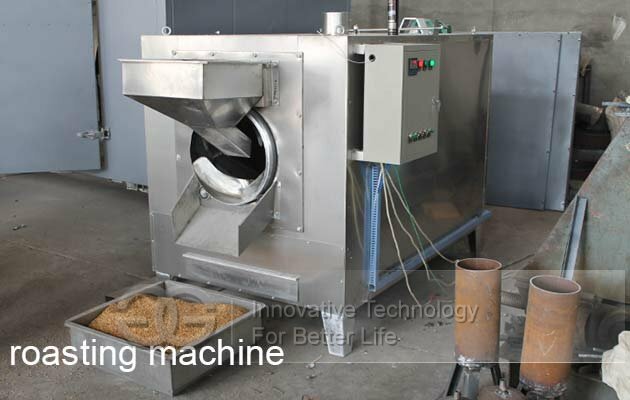 Nuts roasting machine: This machine can be used to process peanuts, almond, cashew, sesame, etc. The heating type can be gas and electric. 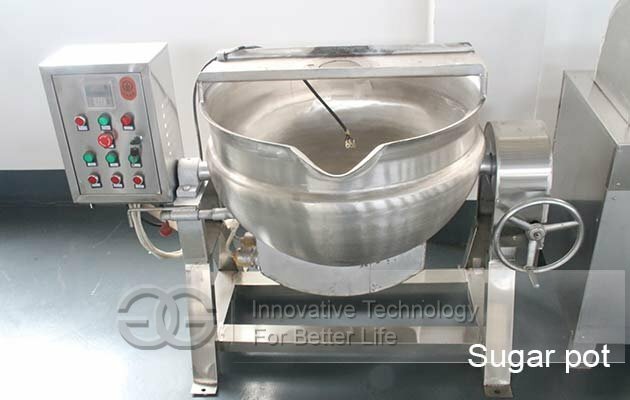 Made of stainless steel, this roaster machine has a simple structure and it is very easy to operate. 2. Sugar cooking pot: Used to make syrup. 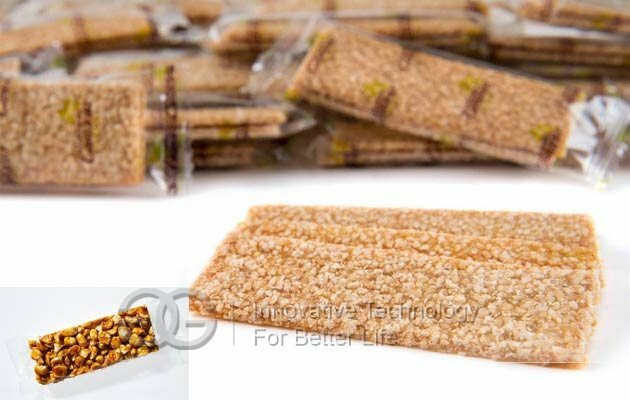 The highest temperature which controlled by electric cabinet can reach to 150 degrees.The heat of source is 380V, with electrical bar, thermocouple and conduction oil in the interlayer. 3. Automatic forming and cutting machine: With multiple flat structure,pressed flat,uniform thickness.Automatic cutting ,Time saving, labor saving, economical and convenient. 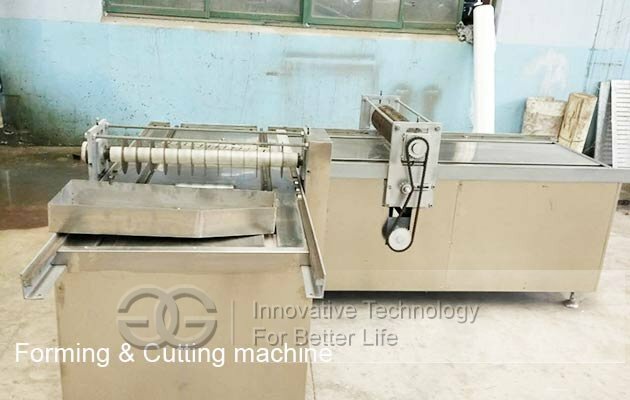 Automatic cutting,time saving, labor saving, economical and convenient. 4. 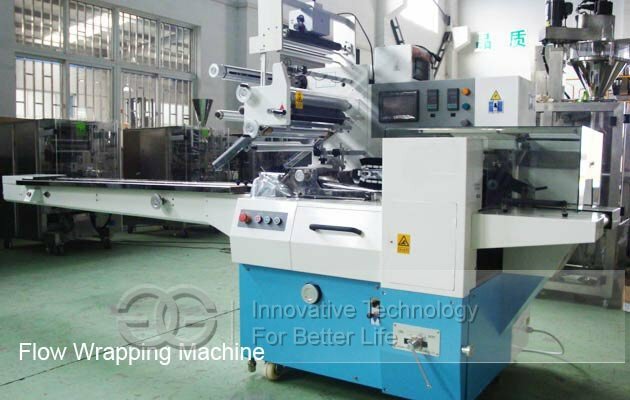 Automatic packaging machine: High sensitivity photocell, which makes the sealingcutting more accurate.Temperature independent PID control, more suitable for all kinds of material coating. Simple transmission system makes the work more reliable, maintenance more convenient.